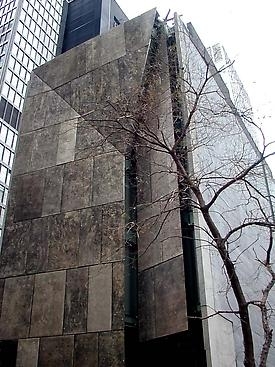 The American Folk Art Museum is home to the single largest repository of works by one of the most significant artists of the twentieth century, Henry Darger (1892 - 1973), who created nearly three hundred watercolor and collage paintings to illustrate his epic masterpiece, The Story of the Vivian Girls, in what is Known as the Realms of the Unreal, of the Glandeco-Angelinnian War Storm, Caused by the Child Slave Rebellion, which encompasses more than fifteen thousand pages. There is a long history of academically trained artists drawing inspiration from self-taught artists and thus freeing themselves to think in unexpected ways and on their own idiosyncratic terms, almost in defiance of what they were taught. "Dargerism: Contemporary Artists and Henry Darger" examines the influence of Darger's remarkable and cohesive oeuvre on eleven such artists, who are responding not only to the aesthetic beauty of Darger's mythic work -- with its tales of good versus evil, its epic scope and complexity, and even its transgressive undertone -- but to his unblinking work ethic and all-consuming devotion to artmaking. This exhibition demonstrates Darger's pervasive influence on the contemporary art discourse and how an examination of the work of self-taught artists is essential for a full understanding of art history. By leaning into the boundaries of the Western canon, "Dargerism" illustrates how one self-taught master has spawned a new movement, a wholly new "ism."